Individuals beginning a search of military records would be well served by first getting a general overview of the subject area. Excellent resources in this regard include the "Frequently Asked Questions" publication prepared by the National Archives and Records Administration (NARA). Equally helpful is the "Frequently Asked Historical Questions" publication of the U.S. Army Military Heritage and Education Center and a comparable document compiled by the Naval Historical Center. Additional research guidance is offered by the genealogy section of the National Archives and Records Administration web site. Consult as well other National Archives web pages including http://www.archives.gov/veterans/index.html and http://www.archives.gov/veterans/research/online.html for additional guidance about available information. Individuals unfamiliar with the military may find particularly enlightening the Navy's description of the contents of a service record. Federal Government Resources. The National Personnel Records Center (NPRC), Military Personnel Records is the repository for the personnel, health, and medical records of all discharged and deceased veterans (all branches of the armed forces) who served after 1900. If possible, use a Standard Form 180 for this request. The form may be downloaded from http://www.archives.gov/veterans/military-service-records/standard-form-180.html. Copies of Standard Form 180 also may be obtained by dialing the NARA's Fax-on-Demand system at (301) 837-0990 and requesting document number 2255. Requests may be submitted by mail or by fax to (314) 801-9195. If you cannot obtain a Standard Form 180 for this request, include in your inquiry the service member's complete name, Social Security number and/or serial number, branch of service, and dates of service as well as your return address. Date and place of birth for the veteran would be helpful too, as would be place of discharge, last unit of assignment, and place of entry into service, if known. You must sign and date your request. More than one request may be submitted per envelope but policy requires that you submit a separate form/letter for each individual whose records are being requested. Please allow at least 2 � 4 weeks for a reply. If you need assistance, telephone the Center at (314) 801-0800 or contact them via email at MPR.center@nara.gov. Casualty lists are available as well for some conflicts. The National Archives and Records Administration has posted on-line state-by-state Navy and Coast Guard World War II casualty lists. These casualty lists are broken out further county-by-county within each state. Korean War and Vietnam-era casualty information is found at http://www.archives.gov/research/korean-war/casualty-lists. Information from subsequent conflicts has been posted by the Department of Defense Directorate for Information Operations and Reports. Also see US Military Casualties Throughout Time. State Archives. State agencies may be valuable contacts as well. The Military Records and Research Branch of the Kentucky Department of Military Affairs, for example, contains more than 300,000 discharge documents for Kentucky veterans beginning with individuals who served in World War I through modern day. It also contains historical records of Kentucky militia and National Guard units dating from 1792. A complete state-by-state listing of helpful state agencies is available on this page. County Records. Although the federal government is the primary source for military records, other sources may be close at hand. Local governments, for example, merit a researcher's attention, as veterans may have filed their military discharge documents (e.g., DD-214) with the county clerk or recorder. The merchant mariner veteran or survivor should submit as much identifying information as possible including name, date of birth, copy of death certificate if deceased, Social Security number, address, and Z or service number. 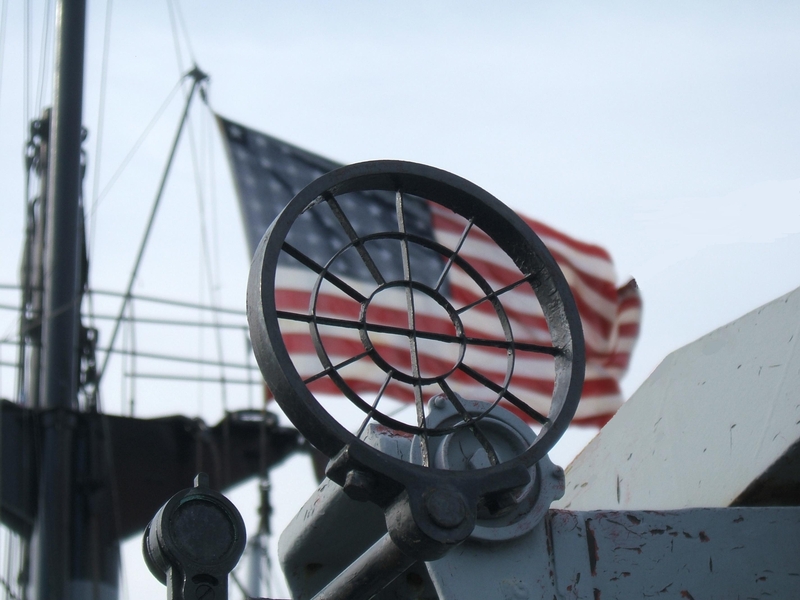 World War II merchant marine veterans seeking official veteran status and to qualify for certain limited veteran benefits should likewise contact the Coast Guard's National Maritime Center. 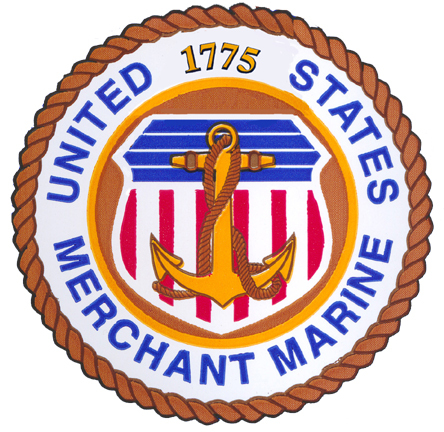 Before World War II merchant mariners can receive veterans benefits, it is necessary first to submit a DD Form 2168. This form is available from Veterans Administration offices, merchant marine veterans organizations, and from the Coast Guard. A copy of DD Form 2168 can also be downloaded and printed from the Coast Guard web site. Information is available about U.S. Navy awards, badges, decorations, insignia and medals. 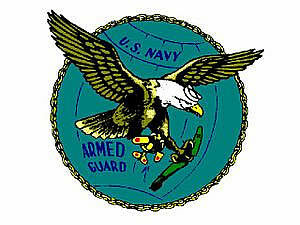 Similar information is available for U.S. Coast Guard medals and awards. See also the Navy and Marine Corps Awards Manual, 1953 edition. This edition includes all of the Word War II-related awards. If you know in which ship(s) you or a family member served and when, you can verify the awards to which one is entitled. This may be useful for anyone researching their own or a family member's history. Information about U.S. merchant marine decorations, medals, ribbons and emblems may be found at several different websites, including The American Merchant Marine at War and Wikipedia. Information about how to request original or replacement medals and awards is available through the National Archives and Records Administration's web site. The U.S. Department of Defense provides information on insignias for enlisted and officer ranks. The Department of Veterans Affairs offers an on-line locator service for most of its 120 national cemeteries. Likewise the American Battle Monuments Commission facilitates the search for the final resting places of veterans buried overseas. United States Navy Department, Office of Naval History, Glossary of U.S. Navy Code Words (Washington, DC: United States Government Printing Office, 1948). United States Navy Department, Office of the Chief of Naval Operations, Office of Naval Records and History, Glossary of U.S. Navy Abbreviations. To assist in understanding the often-confusing organizational structure of the U.S. Navy, the Federation of American Scientists offers an Overview of Navy Units. In your letter, include the ship/unit's name, the date/time period of interest; your full name, address, and telephone number; and as much other detail as possible about the information you would like to obtain. Due to the volume of requests received and the time needed to identify all appropriate records, Archives staff requests that you limit your request to five items per each letter. Allow approximately 10 � 12 weeks from the initial inquiry to receipt of the records. A charge will be imposed for reproduction/mailing of the records, however do not send any cash/check/charge card information with your initial inquiry. Archives staff will review your request and mail to you an estimate of the cost and payment information. Follow the directions contained in that letter to order the desired records. The website Ancestry.com, which is more commonly used for genealogical research purposes, provides access to a database of passengers arrivals in the Port of New York from 1820 to 1957. Included in this database are the names of Armed Guard and merchant marine crew members whose ships arrived in New York during World War II. This can be an invaluable source of information for tracing individuals or their shipmates, particularly for Armed Guard personnel assigned to the Brooklyn Armed Guard Center. It is possible to search by first and last name, approximate birth year, port of departure, port of arrival, name of ship, arrival year, other keywords, or any combination of these. Information on arrivals in other U.S. ports of entry of Armed Guard and merchant marine crew members may also be available on the website. A subscription to Ancestry.com is necessary to access this database; subscription information is linked from the Ancestry.com homepage. Subscriptions of one month, three months and twelve months are available. Ancestry.com often offers a short trial period, free of charge, that precedes the beginning of the paid subscription period. The database of passenger arrivals is found here.